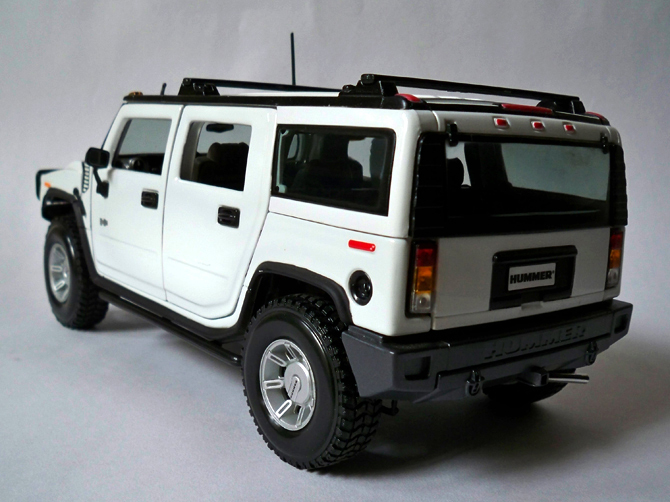 The Hummer H2 is an SUV built under contract by AM General at a specially constructed plant in Mishawaka sold by General Motors under the Hummer brand. 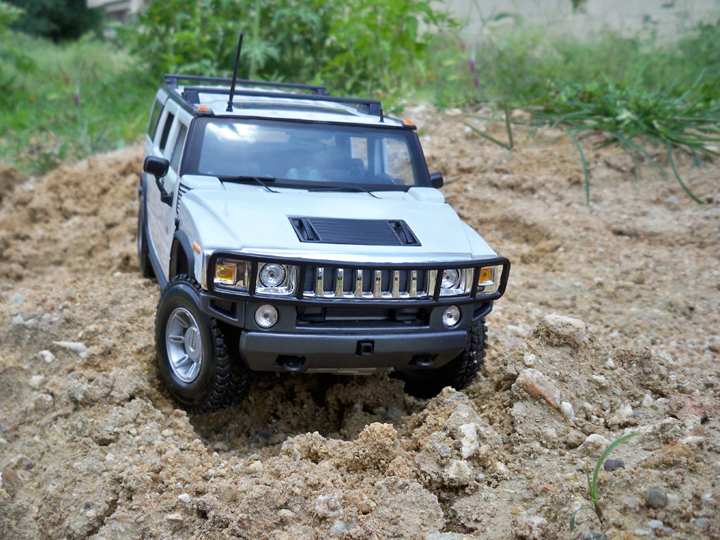 It is a large truck which is lighter and slightly slimmer than the Hummer H1 with room for six passengers. The H2 has a light duty truck frame and has a wider-than-average track firm that may offer stability. 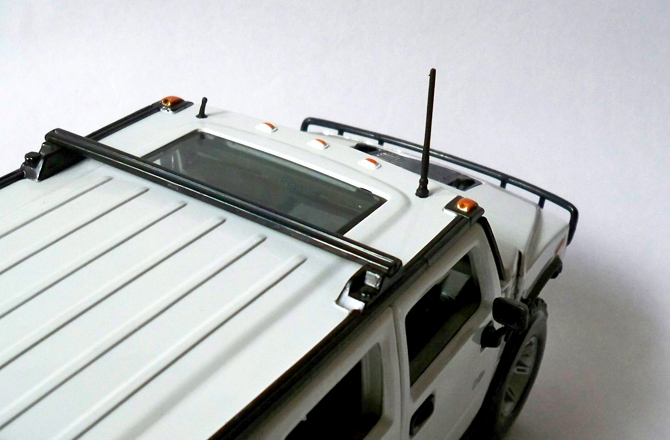 It is marketed as both a general purpose vehicle and as an off-road vehicle. Because of mass marketing by GM, it is primarily used as a passenger vehicle on typical roads. 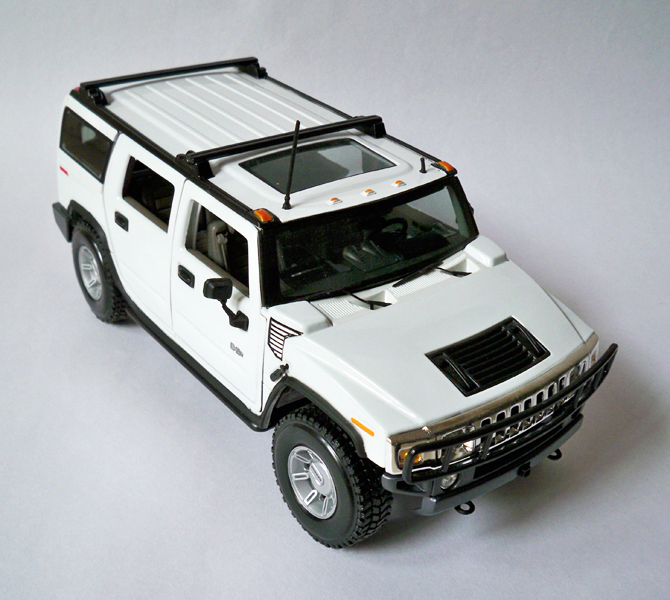 Maisto has done a very good job with the exterior of this hummer. Paint finish is good, gaps between the pieces are not so obvious and chrome finish for the front grill is fantastic. 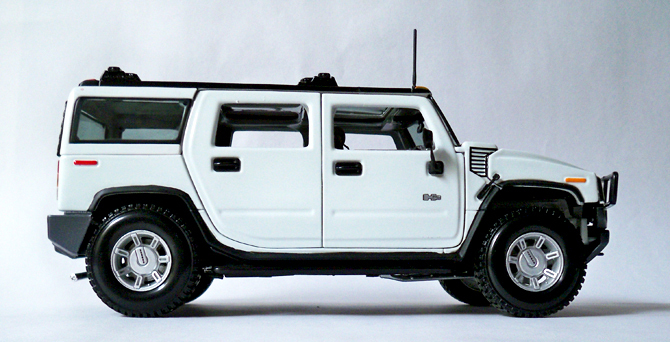 Like all other hummer models all the four doors and the engine hood opens but the tail gate is sealed. 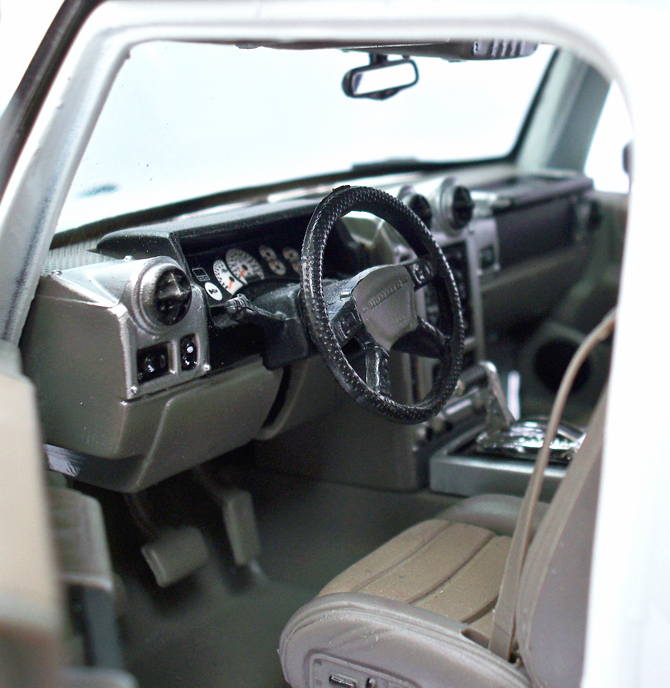 The interior of this model shows some very nice details like the automatic gear shifters, dials, center console and multifunctional steering wheel. Seats are made of plastic and contour is well maintained which gives it a premium feel, no carpet which is disappointing. Engine block is done nicely but looks and feels plasticky! but detailing is quite deep. 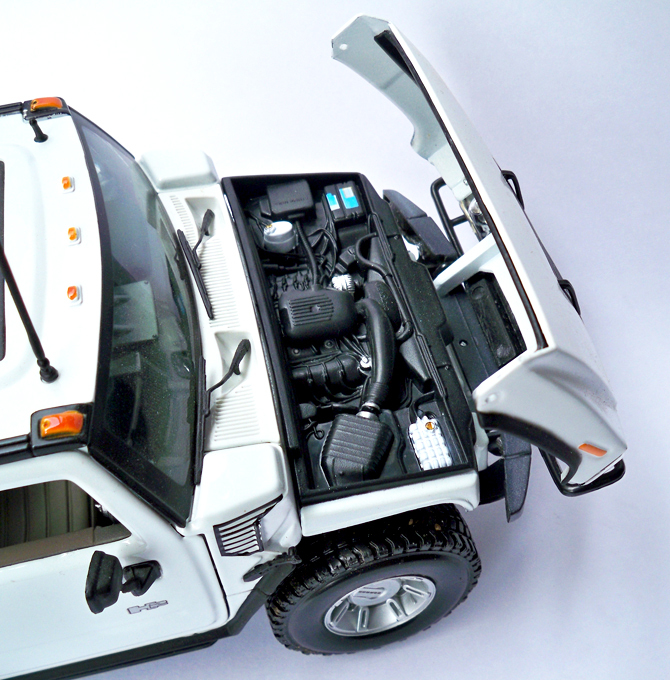 The underbody is also given a lot of attention as it look very realistic and the working suspension is a nice touch. Overall a very good effort by Maisto and deserves a thumbs up for making such a nice model.